We are moving to a brand new home, city, and state, as well as starting new jobs and a new chapter of our lives together as a married couple in a few short days. While we legitimately could not be any more excited to embark on this new adventure, it doesn't make it any easier to say "see you later" to those you love from the place you have called home for the past 20 or more years. 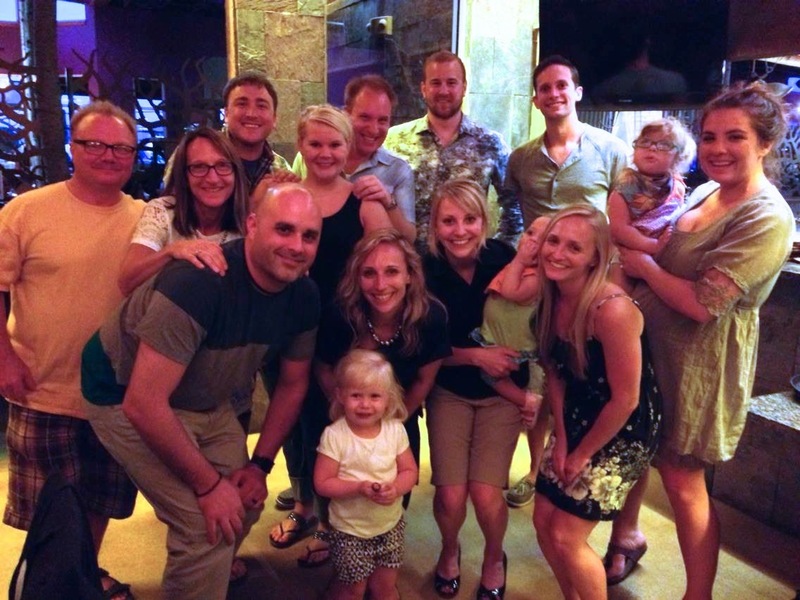 As a way of spending some good ole' fashion quality time with those closest to us all together before we depart, we decided to host a dinner at one of our favorite local restaurants last night. 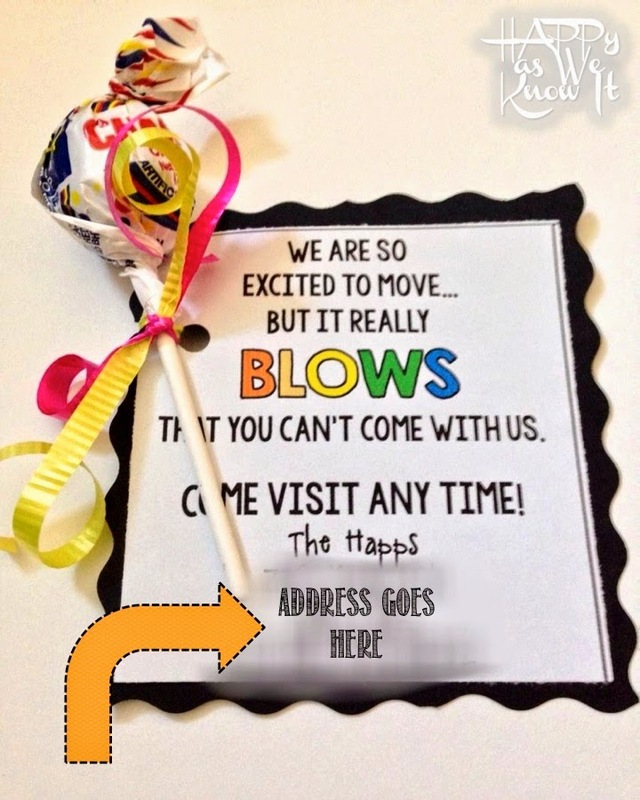 We wanted to make sure that everyone there received our new address before we head out so that they know how to reach us (and can certainly come visit us any time they'd like). After some searching, thinking and Pinterest-ing, I came up with this little favor that not only expresses our true feelings in the current moment, but also provided our loved ones with this necessary new contact info. They were incredibly simple to put together. 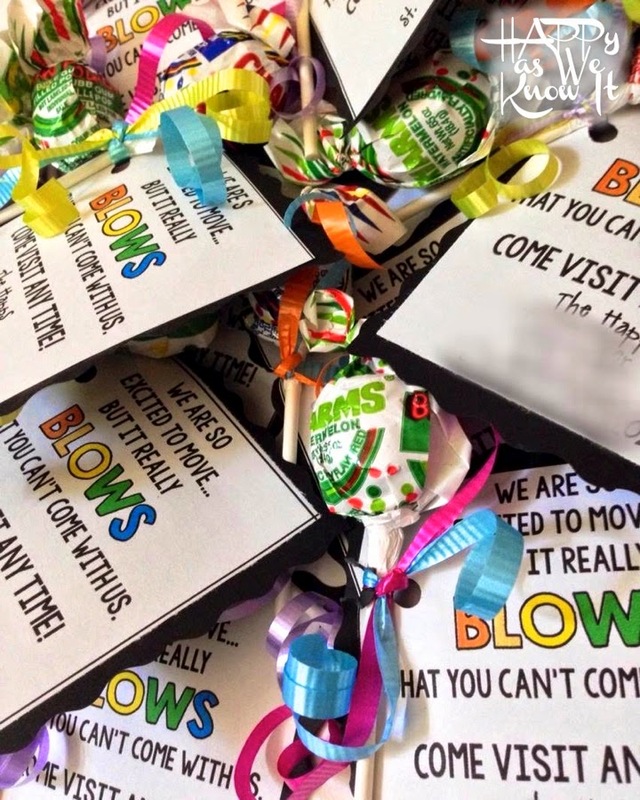 All you need is some card stock, a hole punch, gift wrapping ribbon, and of course a bag of blow pops and you are set. 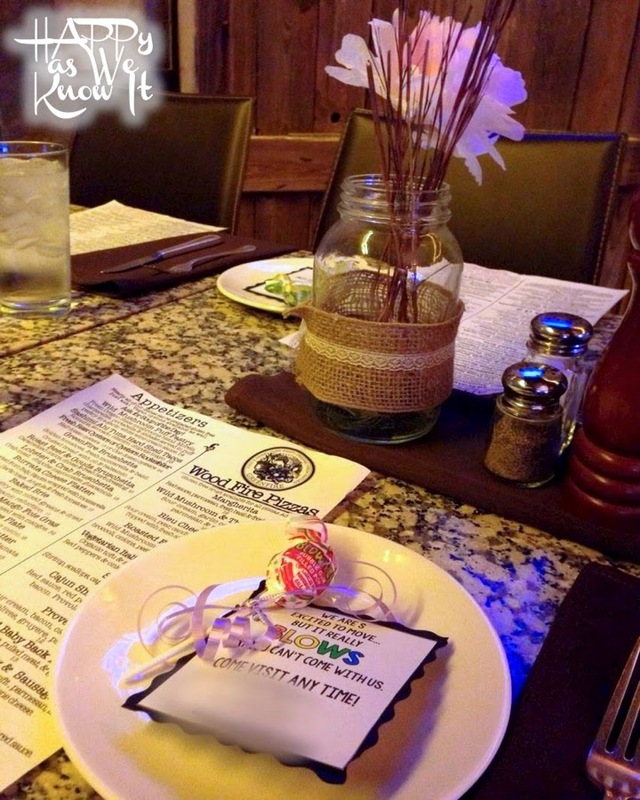 When ours "guests of honor" arrived at the restaurant, each had a favor in his/her place waiting at the table to take home at the end of the evening. We are going to miss all of these shining faces. Here's to hoping you all can come visit us and we look forward to seeing you whenever we return to this place we will always consider to be home. What a great idea! Good luck on your new adventure. My husband and I moved to a new city last year and we love how it has forced us to get out there and meet new people while we explore our new city.